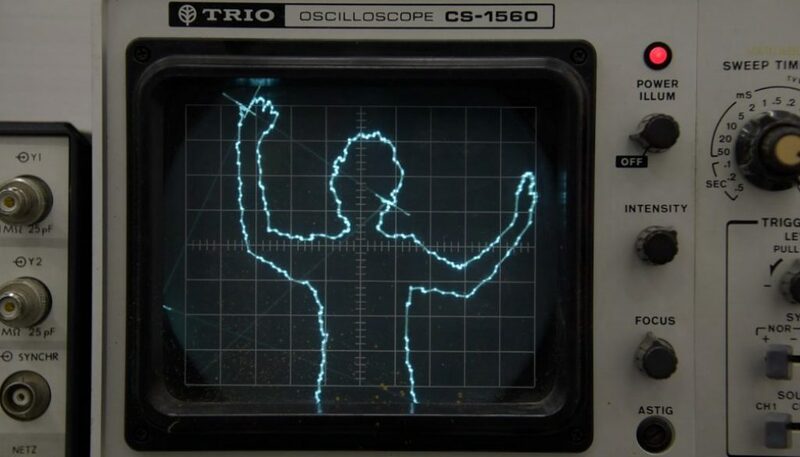 XYscope is a library for Processing that enables drawing generative vector graphics onto vector displays (oscilloscope, Vectrex, laser). By converting the image paths coordinates into an audio signal, comprised of two custom wavetable oscillators, it can be retrieved when fed into the display’s analog inputs (for example, an oscilloscope set to XY-mode). XYscope was made open source in July 2017 and has since been adopted by artists interested in exploring the unique visual possibilities that reside in analog vector displays. This talk will outline my developments leading up to the release of XYscope, inspirations that led to it’s creation, furthermore a selection of media installations created with it since. Ted Davis is an American media artist and designer based in Basel, Switzerland, where he is an Interaction Design Lecturer within the Visual Communication Institute at the Academy of Art and Design HGK FHNW. His own work and teachings focus on image making via programming new and newer media, along with embracing the error and glitch while questioning the ideal and mimetic conditions digital media is asked to encompass.